We’d like to invite you to join the LivePlan team for our #LivePlanChat on Twitter, every Tuesday from 12 to 1 p.m. EDT, where we discuss topics and questions that matter to small business owners and entrepreneurs. You can think of the #LivePlanChat as a free one-hour group chat with an industry expert who can give you advice on how to improve your small business! This week’s #LivePlanChat is extra special. We have LivePlan’s VP of Product Development, Josh Cochrane, who will be showing you how to use one of LivePlan’s best features for your business: the Dashboard. 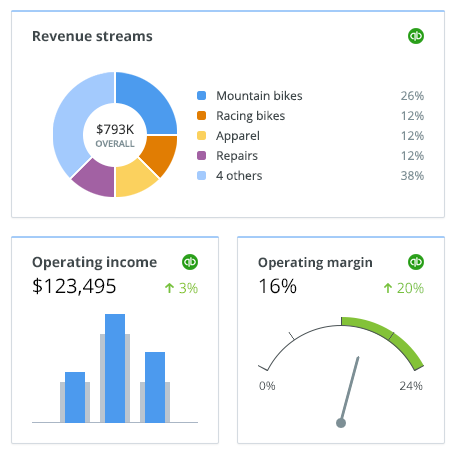 If you aren’t using LivePlan to track your business performance, then you’re missing out on a fantastic tool. Josh will show you how to make the most of your LivePlan account and take your business tracking to the next level. Plus, he’ll give you a sneak peek on some major improvements coming soon to the Dashboard feature. You won’t want to miss the chat! Do you have a question about using your LivePlan account? Post it in the comments below! Are you planning to join our #LivePlanChat this Tuesday from 12 to 1 p.m. EST? Click here to sign up. We’ll send you an email reminder and let you know about upcoming chats.